By keeping track with the market development, we are offering optimum quality Optic Fiber Light for Swimming Pools. 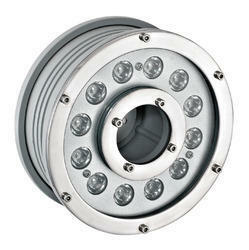 Our offered light is widely appreciated by our high-status clients for its precise design and durability. It offers much better underwater performance and longer lifespan due to their non-electrical characteristics and uniform lighting. The offered light can also be availed in different sizes, designs and other related specifications. 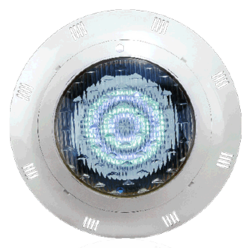 Our provided light is designed and manufactured by a team of our vendors utilizing quality tested raw material and sophisticated technology. Since our inception, we are instrumental in offering premium quality LED Fountain Lights. Besides being manufactured from high-quality raw material and advanced technology, the offered lights are tested properly by our vendors. Owing to attributes like durability and elegant designs, the offered lights are exceptionally valued by our valuable clients. These are designed for easy installation and with high illuminating power to enhance Swimming Pool atmosphere during evening usage. For safety reasons, all swimming pool underwater lights are of low voltage and meet IP68 waterproof standard. 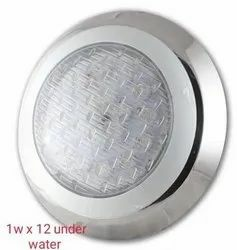 The offered lights are available with us in different sizes and shapes at affordable price. Looking for LED Underwater Lights ?